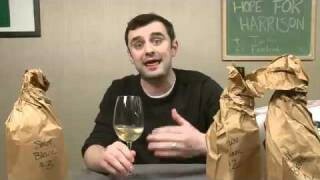 Gary Vaynerchuk is back with the brown bags and puts 3 different New Zealand Pinots to the test! 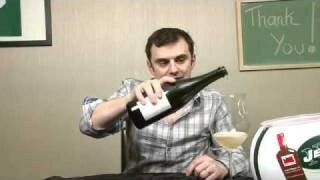 Good show; first time I’ve seen GV kinda change his mind about a wine mid-way thru. He loves wine No3 at first, then cools down considerably. Just shows you, even the greats have doubts. Welcome back Gary and way to go to my Minnesota Vikings for finally finding a way to win one and the J E T S, Jets, Jets, Jets. Jets who are in my top three teams going back to the Keyshawn Johnson years ” Just Give Me The Damn Ball ” Just been doing a bit of relaxing and traveling busy Sept. here. What and were are you going to be in Minn. maybe run into you? Would be awsome anyways good show Gary keep up the great work and get ready for the clash Oct. 11 Vikings VS Jets Monday Night baby! BEST VALUE: 2008 Sherwood Pinot Noir, Marlborough (~$15)- it is VERY hard to beat the purity of fruit, freshness and ideally structured frame of this Pinot anywhere near this price. BEST OVERALL: 2007 Pyramid Valley Vineyards “Eaton” Pinot Noir, Marlborough (~$36-$40) This Biodynamic Pinot offers amazing concentration of fruit and spice, along with an earthy edge and well integrated tannin structure that is LONG, allowing you to think about the complexity of flavors as they keep coming well after the wine has left the palate. Stellar. QOTD 2: If you’re reading this, GV, you must be quite bored, or on a plane with time to kill, either way I will make it short: Sommelier aspect of my life is going well, although a bit slow with the current economic situation. However, I am using this as an opportunity to showcase the value of the wine world to my customers, and LOVING IT!! As for the acting front, I have booked multiple web series lately, I have a general interview with Sony Casting this week, and I have two live Improv shows each week at Second City LA. Trying to stay busy, and hoping to make more film and TV gigs happen SOON! I hope all is well with you, my friend. Cheers! Never had New Zealand Pinot. Just bought a Melville Pinot I will try eventually. Nice to have you back. I’m busy maintaining robots and other gizmos for Mercedes Benz manufacturing. Just got back from vacation in Tampa. Went to Bern ‘s. Had a 1977 Ridge Luis Obispo. If your in that area try Massimo’s in Palm Harbor. Awesome!!!! Good wine list too. Not as nice as Bern’s of coarse. Missed you too Gary, a LOT! Never tried a New Zealand Pinot, but put it on my to do list. Last month, I got to work at a small winery in Spain on the island of Menorca. We made several wines there, including a nice Chardonnay and a nice Merlot. Now I am in Saint Emilion doing a harvest here. VERY exciting stuff! 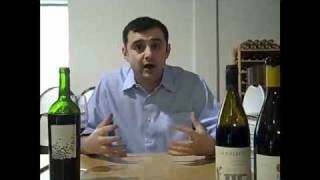 Hoping that the 2010 Bordeaux will come out as good as they say the 2009’s are. They are predicting rain this weekend so pray for sun! 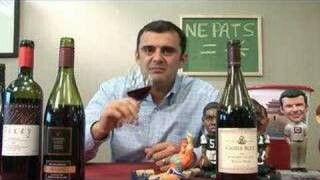 I meant huge win over Green bay, but I had wine on my mind. HAHAHA! Good to see you two again (Garry, Mott). Still trying to learn Spanish in Chile and still trying to find a means of buying some international wines to keep my palette fresh. Aaaaaaaand hes is back in full form, you sure know how to appease the nay saying masses GV; welcome back GV and Mott as well. Great show, glad to see NZ bringing the thunder. QOTD: Harvest, harvest, harvest… did I mention its harvest? Busy as all hell. Just did 32 tons of Zin last week, fermenting as we type/read. Not sure how many of these you can get your hands on though. NZ Pinot Noir not my cup of tea. Had about 6 of them this past weekend at the annual Santa Fe wine and Chile fiesta. My favorites were the Antinori and David Bruce Chardonnays, David Bruce Pinot Noir, 2 good Elk Cove Pinot Noirs, all of the K Vintners wines, 2003 Tiganello, Pio Caesari Barbaresco 2005, new Sauvage from Gruet, Justin Isoceles and Justification from 2007. You look tired Gary. Don’t over do it. With that being said it is great to see you back in the Thunder saddle. QOTD: Things are good, thanks for asking! Busy with wedding planning, my fiance and I are getting married in June 2011. Already starting to think about the wine pairings, which is clearly my favorite part! Planning the honeymoon will be fun too. I was getting excited about the Redskins until they lost to the RAMS. Ugh… It will be interesting to see McNabb and Vick square off in Philly. Glad to see you back in the Thunder Saddle! I feel your pain. I cannot believe the Redskins lost to the RAMS. Dagger.. GARY!!! So happy you’re back on the air…mornings aren’t the same without my coffee and WLTV! Nice to see the both of you back. Keep ’em coming! Had a number of NZ Pinots at Pinot Days this year and I think I also liked things from Central Otago. Getting ready to fulfill my daughter’s request to meet my Dad in Texas next week. It’s going to be challenging as he hasn’t had a lot of involvement in my life since my parents split up over 30 yrs. ago. But heck, he’ll be 75 this month and he’s not in the best of health, so if I want to say my peace, now’s the time to do it. After a couple of days there, it’s off to my cousin’s house from my Mom’s side of the family to relax and have fun. Looking forward to having some good BBQ, Pie and seeing if there are any decent Texas wines. Gary: tv.winelibrary.com root page is crashing my Chrome v7.0.536.2. Thanks for the introduction to NZ pinot, I don’t think I’ve every tried one, but next time I find the Gunn I’m going for it. QOTD: In order, tied for first Bell Hill & Pyramid Valley Earth Smoke, then Escarpment Kupe, Valli Waitaki, Fromm Clayvin, and for shear uniqueness, Glover’s. Catching up, traveling last week. QOTD – ready for a long October run for the Yanks! I am catching up on episodes today after being on vacation. I took my first trip to Poland and also went back to Vienna and Budapest. Poland was all about beer with wine somewhat popular in restaurants. So I stuck with beer and found them to be good. Had some good Austrian and Hungarian wines. Austria makes some good reds and sparkling wines (Sekt) that I don’t see here very much. And Tokaji was the perfect way to finish a meal or the day. I’m glad to be back and watching WLTV. 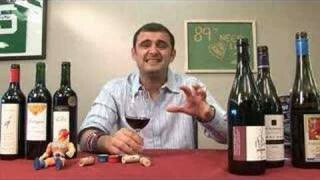 I’ve only had a couple on NZ pinots. I like the Sherwood, which is from Marlborough, i beleive. Never had one for central Otago. 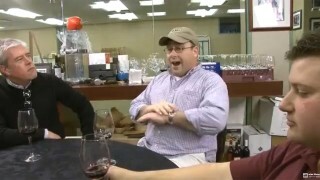 Making a wine tasting event with friends on oct. 30th, costumed and everything. 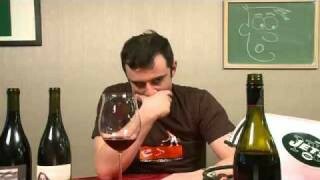 We’re going to have a central Otago pinot, the Akura Gulles Bannockburn 2006. Looking for to it. I’m more than a little shocked at the QPR on this one. Very impressed. I just bought a bunch of pinot today, and was a little surprised at how accessible some of the lower end producers’ lower end wines were [Faiveley, for ex.]. I’m curious whether NZ and other new world producers are keeping prices from getting too crazy? 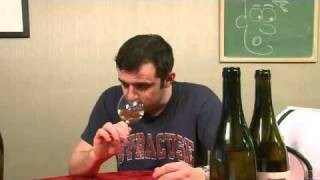 I tried out the Oyster Bay Pinot tonight and here are my thoughts. I agree with Gary on the nose, slightly smoky tobacco, i also picked up sour cherries and cranberries for days. In the palate it didn’t do too much. However, this was after just opening it, so I left it open for 3 hours and came back. Much better if you let it breathe. Medium bodied, nice dry tanins (begging for some food with a little fat like duck or dark meat turkey). 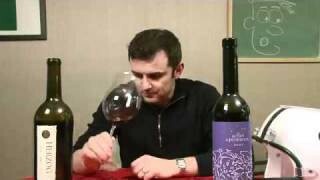 Bottom line, if you drink it right away, it acts like a $15 bottle of wine, nice, but nothing special. If you let it breathe, it honestly tastes like a lot of 25-40 dollar Oregon pinots for much less. Another GREAT show , Gary! SALINE or BRINE ? good descriptors???? Rockburn Central Otafgo is the shizz! Felton Road is good but a bit pricey. Quartz Reef is a must try! In NZ now on 3rd trip! So right….Central Otago is where it’s at for Pinot Noir. My faves aere Bald Hills and Bannock Brae. sorry Gary, i think you missed it this time. we just had the Gunn with some Romanian Kebab and BBQ fries. on the nose its so fruity – strawberries, water melon and Papaya, but the finish was disapointing. 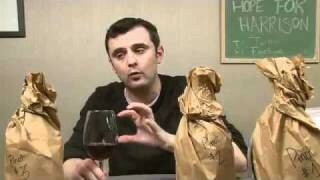 i only gave this wine an 84.
ya’all should try some great Garnacha Rose’s fron Spain, it helps to break the heat.